No Membership fees, no joining fees! Join UAE's first pay-per-minute car rental now! Just get in and go – You can easily find, reserve and open vehicles comfortably. 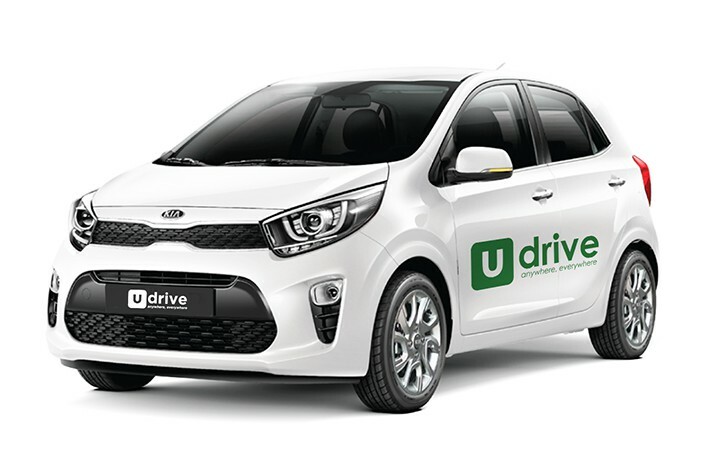 Udrive is the first car sharing provider in the Middle East that provides car rental by the minute. How it works? Locate a car through our mobile app to access and drive them after you have registered with us. End your trip at your destination and only pay for the time you used the car, including fuel and public parking in Dubai and Sharjah (as provided on the permit inside the car). Signup on our website or mobile app and provide all the required information and documents. Keep you ID, Driving License and Credit or Debit Card ready! It takes only a few minutes. Wait for us to verify all your documents and information. It takes up to 4 hours, but we’re usually much faster. You can request a quick activation if you’re in a hurry.Once done, we send you an activation email with your PIN. Locate, reserve and open a car through our mobile app. Once the car is open, enter your pin on the device in the dashboard to activate the car. Take the car key from the device to switch on the car. You never need to pay for fuel. Refuel our cars at any EPPCO, ENOC and ADNOC Petrol Stations and we get the bill. Pick the car that fits Your needs. From Kia Picanto to Mercedes-Benz A-Class! With Udrive you can go anywhere within the country as long as your return the car in the same city from where you started your trip! Our cars are spread all over Dubai, Abu Dhabi, Sharjah and Ajman. You can view them even without registering by downloading our mobile app. Where can I return the cars? All parking spots needs to be uncovered and have unlimited access for anyone (e.g. not in communities). Our prices start from 60 Fils per minute. Please refer to the pricing page to discover our wide offer of different cars and rental options. How do I refuel the car? You can refuel our Dubai fleet at any EPPCO or ENOC Petrol Station and our Abu Dhabi, Sharjah and Ajman fleet at any ADNOC Petrol Station. You will not pay -we get the bill. You get 10 minutes free drive for refuelling our cars!